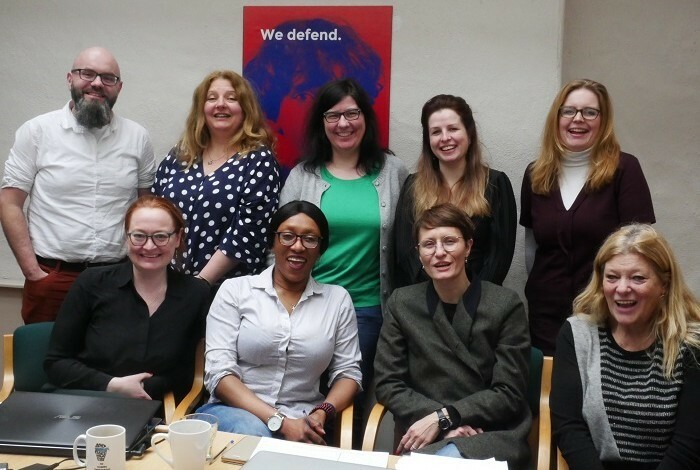 Launch of anti-human trafficking project: ASSIST, Dublin, Ireland, 12 March 2019. Brian Killoran, CEO, Immigrant Council of Ireland & colleagues. RENATE members who attended the Launch of the new transnational project led by the Immigrant Council of Ireland entitled ASSIST – Gender Specific Legal Assistance and Integration Support for Third Country National Female Victims of Trafficking for Sexual Exploitation, share some information and supporting documentation. The Immigrant Council formally launched this new innovative anti-trafficking project to assist trafficked migrant women. The project focuses on the integration of trafficked women recovering from sexual exploitation. This initiative takes into account the gender dimension of trafficking in Europe and the gender specific harms and trauma associated with trafficking for sexual exploitation. The Immigrant Council of Ireland are excited at the prospect of partnering on this exciting new two year project with SOLWODI Germany, JustRight Scotland, BeFree Italy, SURT Spain and the European Network of Migrant women. Powerpoints presented by SOLWODI and also by JustRight Scotland at the launch are attached. Powerpoint SOLWODI – presented at the launch of ASSIST, Dublin, Ireland. JustRight Scotland – PowerPoint presented at launch of ASSIST in Dublin, 12 March 2019.